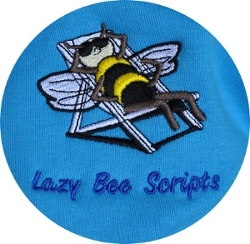 The Latest Scripts from Lazy Bee : Sept 2016 | Damian Trasler's Secret Blog - Do Not Read! This entry was posted in Uncategorized and tagged funny sketches, Lazy Bee Scripts, LazyBeeScripts, New sketches, plays, playwright, read scripts, scripts, theatre, TLC Creative, writing. Bookmark the permalink.